The big lesson for today applies more to life in general than to home photos - keep the camera handy! Some of the best pictures are spontaneous. If you have to go digging in your closet for your camera you might miss your shot! "I heard water running in the kitchen and discovered my daughter with the hand washing obsession learned how to climb the cabinets.... Smile. Click. Smile. Dry everything up.... I groan, grumble, sigh and click because those are all part of the stories I want to capture. I would miss them all if my camera weren’t ready and nearby." Definitely check out her site to see the picture she took - SO CUTE! 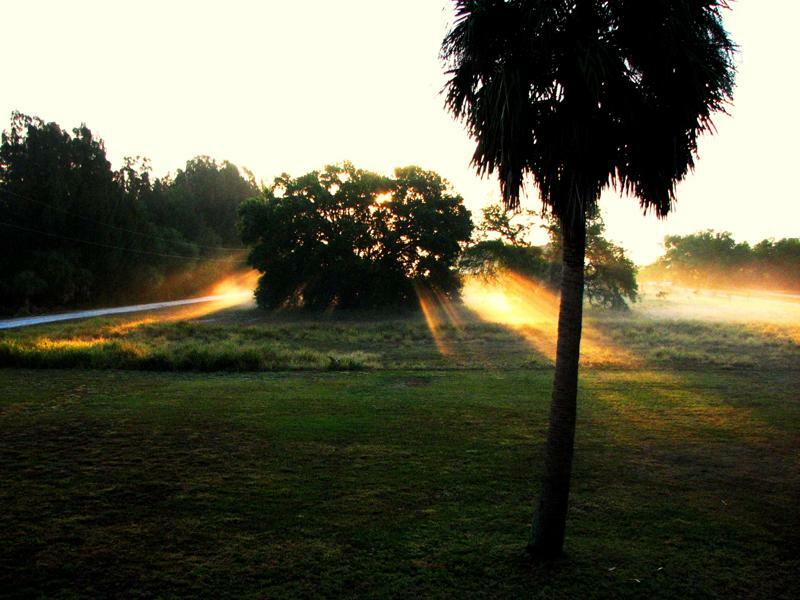 Here's a picture my Dad took of a perfect sunrise in his front yard. That perfect angle of light was gone in a matter of minutes - he was so glad to have his camera available! So keep your cameras out and snag that perfect moment!